Whether it's high density, small footprint 8, 16, or 32 bit microprocessor technology, or large scale analogue power electronics, you can be sure that Barric has the expertise to manufacture your product to the highest standards. When we work with our clients, we like to think that we help make things happen. With a pro-active, positive and flexible approach to each project, we help our clients achieve their goals. 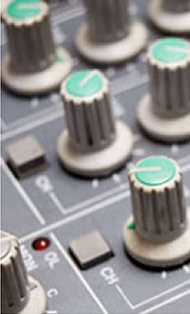 Working with our clients, Barric has helped introduce innovative technology to industry sectors such as the automotive, industrial control, professional audio and video, medical devices, test and instrumentation, computer hardware and the telecoms industry. Our projects range from technology as diverse as 'petrol pump electronics' that have to work 24 hours a day, 365 days a year, to 'subsea surveying equipment' that has to work in the harshest of conditions. Our customers stay with us because commercially and strategically, we make a difference. Being able to entrust their production to us, gives them freedom from the considerable investment of time, money and management resources that manufacturing requires. It gives our clients the freedom to focus on what makes them special, their understanding of their technology and their market. If you would like to meet with us to explore how Barric can help make a difference to your business. Please do not hesitate to get in touch, we'll be pleased to hear from you.